SuperShuttle is a convenient, inexpensive way to travel to the airport via a shared ride van service. 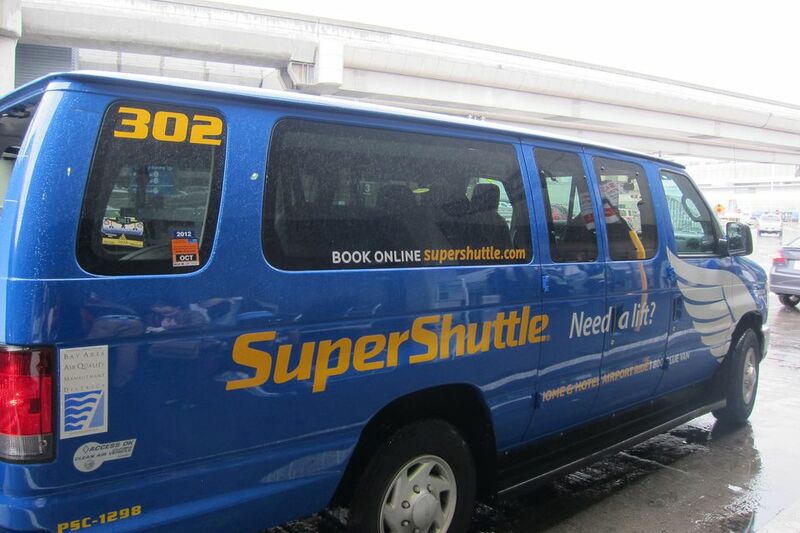 SuperShuttle vans are often less expensive than a taxi ride and provide easy access to Miami International Airport. Transportation is available 24 hours per day. There are also many different shuttles you can take: a shared-ride shuttle, a non-stop shuttle, a luxury black car, and a black SUV. The shared-ride shuttle is the most affordable option, but the black car may be beneficial for business travelers. SuperShuttle charges a per passenger rate based upon the distance between the airport and your destination. Depending upon your destination, rates for the first passenger vary between $14 and $35. Additional passengers are around $10 each. Rates may vary depending on your final destination. SuperShuttle also often offers discount rates and codes, so your trip will cost even less. Reservations are required for trips to the airport. You may make a reservation by calling (305) 871-2000. SuperShuttle also accepts reservations on their website and via their mobile app. It's best to make reservations as far in advance as possible. Some holidays and busy travel weekends can book up quickly. No reservation is necessary for trips leaving the airport. Simply approach a blue-shirted SuperShuttle representative in the ground transportation area of the airport and they will arrange a van for you. Because of the number of SuperShuttles, you'll never have to wait too long for your ride. If you're nervous that you may miss your flight because your SuperShuttle van is running late? SuperShuttle has added a new feature to their site that allows you to track your van in real-time on a Google map so you can see it approaching your pick-up point. You can also download the app for easier access. While you'll save as much as 50 percent over the cost of a taxi, remember that SuperShuttle is a shared-ride service. Your trip will take longer than a taxi, and it could be significantly longer depending upon how many other people are in your van and your position on the drop-off/pick-up list. However, there are some surprising perks. For example, when you ride with SuperShuttle, you'll earn airline points. All you have to do is sign up for a free SuperShuttle account and link it to your Airline Rewards program. If you are flying into Miami Airport (MIA), for example, and will be flying out of the Fort Lauderdale Airport (FLL), you can take the TrailRail train but you must also take a bus connection at either end of the trip. Travelers find that SuperShuttle is the next best-priced option and will take you door to door. SuperShuttle serves major airports all over the United States as well as select international airports across Mexico and Europe. In south Florida, you can take SuperShuttle to/from Miami International Airport and Fort Lauderdale-Hollywood International Airport. It also has direct access to many of the main hotels and resorts in both cities. What Is the Cost of Living in Miami? Where Can I Find a Wal-Mart in the Miami Area? Exercise Your Right to Vote in Miami!